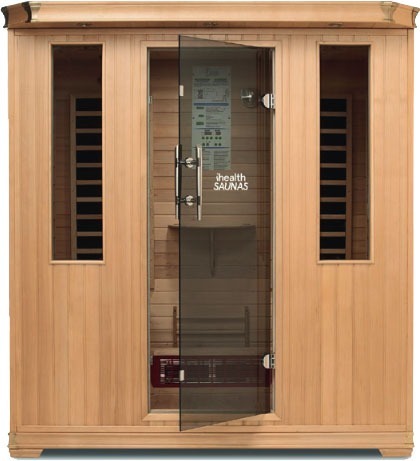 temperature whereas conventional saunas have to heat the air in the sauna before it can actually heat you. Burn calories in one session! Yes, you can do absolutely nothing and burn the calories. A moderately conditioned person can easily sweat off up to 1000gms or more in a sauna session – the equivalent to running 10-15 kms.